by Forrest Pritchard is the book! In a laugh-out-loud funny story, we learn about the problems facing modern conventional farmers and farm owners who find themselves stuck in a system where they never make money. 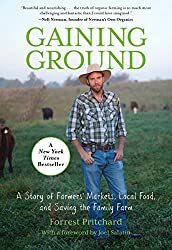 Warned repeatedly by his father that there was no money in farming, Forrest went to college and got a degree in literature and geology, but towards the end of his college days, he began to feel a pull back to his family’s farm. Around the same time, their farm manager decided to plant corn with promises of big profits. After the grain was harvested, however, the family received a check for a whopping $18! At that point, Forrest decides to take over and begins looking at all sorts of ways to make money. The first thing he tries is selling firewood because after making $18 on their corn and soybean harvest, he needed to make money NOW, and it was already fall. Firewood seemed like a quick way to bring in some much needed cash quickly. Although it does make some money, Forrest discovers there is a lot to be learned about selling products to the public, as well as how far you can push your equipment. Ultimately Forrest crosses paths with Joel Salatin at a conference and decides to start a pastured livestock operation and sell meat at farmer’s markets. His path to success is filled with snowy roads, steep staircases, and lots of colorful characters from Pedro the goat to Travis the farmhand. One thing that I have often felt was missing from similar books was humor. Having lived through quite a steep learning curve ourselves on our own farm, and having lots of funny stories, I usually wonder where are the funny stories when I read farm memoirs. Well, Forrest delivers a bumper crop of laughs! 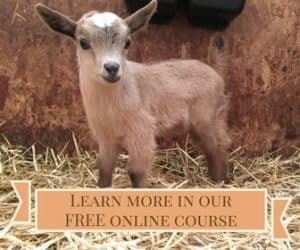 I had purchased the audiobook version to listen to while milking goats, and sometimes I had to try to suppress my laughter because I was afraid that I wouldn’t be able to hear the narrator over my own guffaws! Not only is Forrest a successful farmer, he is also a gifted storyteller. I cannot recommend this book highly enough, either as entertainment or education, as it does an excellent job of both. In fact, I’m sure I will be listening to it again. 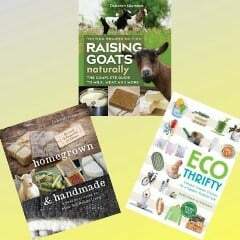 Whether you are an aspiring farmer, a homesteader, or a consumer of food, you need to read this book. Sounds like an excellent book Deborah, I think I'll put it on my Christmas list. THANKS! Hope you and yours are doing well "up north"